Valet Bike Parking is like a coat check for bicycles – or any human-powered transportation. Our secure bike corral helps encourage people to bike to events and know your bike and bags are secure while you enjoy the festivities. If you have a big event, we’d love to work with you to make valet bike parking successful for you and your attendees. Want Bike Parking at Your Event? We generally charge about $100 per day (or $20 per hour) to provide valet bike parking at events. The fee covers our costs and contributes to our coffers as a fundraiser for our nonprofit bike shop. 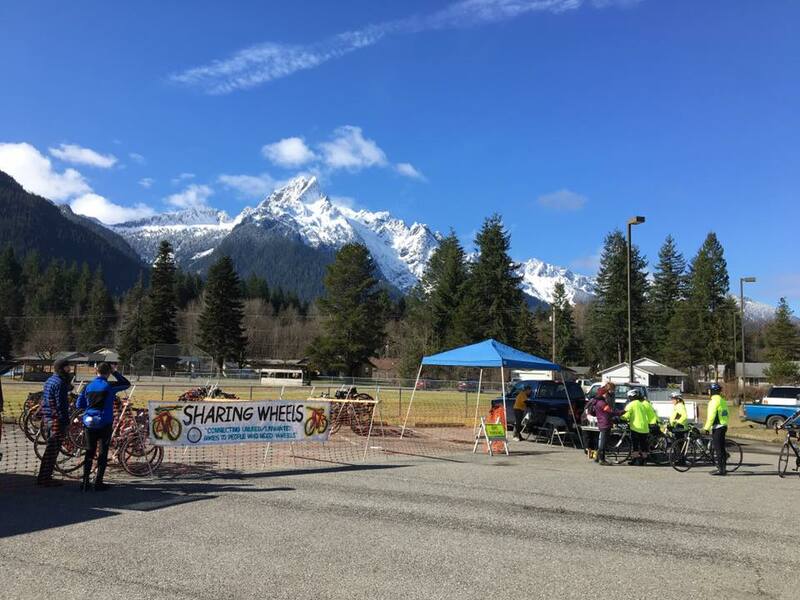 We will also work with community groups and your volunteers to make our bike parking equipment available for your event in exchange for a small donation or other support. We need volunteers to help provide bike parking at events each summer. If you’re interested, contact the shop. Everett Farmers Market Bike Parking? The sun is out, and the Everett Farmers Market will be bustling with activity. Riding your bike there on the Milltown Trail is a great way to avoid the hassle of trying to find parking. But the Port of Everett doesn’t really have bike racks at the market location. Please encourage the Port to support funding for valet bike parking at the market this summer.